Home » People » Adjunct Faculty » Organ, John F.
Dr. 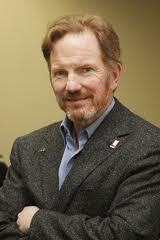 Organ is Chief of the Cooperative Fish and Wildlife Research Units and Senior Science Advisor for Cooperative Research for the U.S. Geological Survey. From 2005 to 2014 he was Chief of Wildlife and Sport Fish Restoration for the northeast region of the U.S. Fish and Wildlife Service, a cooperative program between the Service and State fish and wildlife agencies. His research efforts focus on wildlife conservation issues that involve multiple agencies and stakeholders in achieving solutions to conservation challenges. He is particularly interested in contributing to a knowledge base that will help us understand what actions will be required to maintain viable populations of mammal species while minimizing conflicts with humans. He is also interested in the long-term implications of changing human demographics to the future of wildlife conservation in North America. He is also on the faculty of the Universidad Andres Bello in Santiago, Chile, and Michigan State University, and is part of the Peru Forest Sector Initiative where he is working with the Peruvian government to implement sound wildlife conservation institutional programs. Conservation in Practice will challenge students to integrate human dimensions and ecological sciences into actual fish and wildlife conservation scenarios. The course is structured into 3 modules: (1) human dimensions theory; (2) quantitative and qualitative analytical approaches; and (3) case study inquiries. Students will be provided a theoretical foundation for human dimensions of fish and wildlife conservation in the first module through assigned readings and classroom discussion and lecture. Methodological approaches to human dimensions inquiry will introduce students to a suite of quantitative and qualitative approaches through selected manuscripts and lecture. Lecture and discussion will focus on structuring human dimensions inquiries to select and integrate appropriate quantitative and qualitative methods. Case studies of actual conservation challenges encountered by federal and state fish and wildlife management agencies will be used to retrospectively or prospectively evaluate how human dimensions science needs would be integrated, and develop an appropriate experimental design. The instructors envision the classroom dynamics to be interactive. Readings will be designed to supplant lectures where practical; lectures will be used to synthesize information and stimulate discussion. Student grades will be based on active participation, a mid-term exam, and a final case study paper. Organ, J.F., D.J. Decker, L.H. Carpenter, W.F. Siemer, and S.J. Riley. 2006. Thinking like a manager: Reflections on wildlife management. Wildlife Management Institute, Wash. DC, USA . Organ, J.F. In Press. The Wildlife Professional. In P. Krausman and J. Cain, eds. Wildlife management and conservation: Contemporary principles and practices. Johns Hopkins University Press, Baltimore, MD, USA. Bies, L., M. Hutchins, J. Organ, and S. DeStefano. In Press. The role of professional societies in connecting science and management: The Wildlife Society as an example. In J.P. Sands, F.J. DeMaso, M.J. Schnupp, and L.A. Brennan, eds. Wildlife Science: Connecting research with management. Taylor Francis, London, UK. Decker, T.A., R.F. Gotie, J.F. Organ, and G.R. Batcheller. 1996. Return of the beaver in the northeastern United States. Pages 57-58 in P. Hirschoff, S. Metcalfe, and L Rihoy, eds. Rural Development and Conservation in Africa: Studies in Community Resource Management. Harare, Zimbabwe. 60pp. Organ, J.F., R.F. Gotie, T.A. Decker, and G.R. Batcheller. 1998. A case study in the sustained use of wildlife: The management of beaver in the northeastern United States. Pages 125-139 in H.A. van der Linde and M.H. Danskin, Eds., Enhancing Sustainability: Resources For Our Future. SUI Technical Series, Vol. 1, IUCN, Gland, Switzerland and Cambridge, UK. 178pp. Organ, J.F., and G.R. Batcheller. 2009. Reviving the public trust doctrine as a foundation for wildlife management in North America. Chapter 13, pages 161-171 in M.J. Manfredo, J.J. Vaske, P.J. Brown, D.J. Decker, and E.A. Duke, Eds., Wildlife and Society: The Science of Human Dimensions. Island Press, Washington, D.C., 350pp. Organ, J.F., D.J. Decker, S.J. Riley, J.E. McDonald, Jr., and S.P. Mahoney. 2012. Adaptive management in wildlife conservation. Pages 43-54 In N. Silvy, ed., The Wildlife Society Techniques Manual, 7th edition, Vol. II. Johns Hopkins University Press, Baltimore, MD, USA. Organ, J.F., S.P. Mahoney, and V. Geist. 2013. Born in the hands of hunters: the North American model of wildlife conservation. Pages 69-75 in P.R. Krausman and B.D. Leopold, Eds., Essential Readings in Wildlife Management and Conservation. Johns Hopkins University Press, Baltimore, MD, USA. Enck, J.W., D.J. Decker, S.J. Riley, J.F. Organ, L.H. Carpenter, and W.F. Siemer. 2006 . Integrating ecological and human dimensions in adaptive management of wildlife-related impacts. Wildl. Soc. Bull. 34:698-705. Jonker , S.A. , R.M. Muth, J.F. Organ, R.R. Zwick, and W.F. Siemer. 2006 . Experiences with beaver damage and attitudes of Massachusetts residents towards beaver. Wildl. Soc. Bull. 34:1009-1021. Jonker, S.A., J.F. Organ, R.M. Muth, R.R. Zwick, and W.F. Siemer. 2009. Stakeholder norms towards beaver management in Massachusetts. J. Wildl. Manage. 73(7): 1158-1165. Medina-Vogel, G., M. Barros, J.F. Organ, and L. Bonesi. 2013. Coexistence between southern river otter and the alien invasive North American mink in marine habitats of southern Chile. Journal of Zoology. Muth, R.M., R.R. Zwick , M.E. Mather, J.F. Organ, and J.J. Daigle. 2006 . Unnecessary source of pain and suffering or necessary management tool: Examining the attitudes of conservation professionals toward outlawing the use of the leghold trap. Wildl. Soc. Bull. 34:706-715. Decker, D.J., D.B. Raik, L.H. Carpenter, J.F. Organ, and T.M. Shusler. 2005. Collaboration for community-based wildlife management. Urban Ecosystems 8:227-236. Organ, J.F., D.J. Decker, S.S. Stevens, T.M. Lama, and C. Doyle-Capitman. 2014. Public trust principles and trust administration functions in the North American model of wildlife conservation: contributions of human dimensions research. Human Dimensions of Wildlife 19:407-416. Organ, J.F., V. Geist, S.P. Mahoney, S. Williams, P.R. Krausman, G.R. Batcheller, T.A. Decker, R. Carmichael, P. Nanjappa, R. Regan, R.A. Medellin, R. Cantu, R.E. McCabe, S. Craven, G.M. Vecellio, and D.J. Decker. 2012. The North American model of wildlife conservation. Wildlife Society Technical Review 12-04. The Wildlife Society, Bethesda, Maryland, USA. Organ, J.F., and C.R. Griffin. 2004. Mercury and PCBs in Massachusetts river otters: watershed comparisons. Proceedings of the 11 th International Otter Colloquium. Organ, J.F., J.H. Vashon, J.E. McDonald, Jr., A.D. Vashon, S.M. Crowley, W.J. Jakubas, G.J. Matula, Jr., and A.L. Meehan. 2008. Within-stand selection of Canada lynx natal dens in northwest Maine, USA. Journal of Wildlife Management. 72(7):1514-1517. Rayl, N.D., T.K. Fuller, J.F. Organ, J.E. McDonald, Jr., S.P. Mahoney, C. Soulliere, S.E. Gullage, T. Hodder, F. Norman, T. Porter, G. Bastille-Rousseau, J.A. Schaefer, and D.L. Murray. 2014. Mapping the distribution of a prey resource: neonate caribou in Newfoundland. Journal of Mammalogy 95(2). Rayl, N.D., T.K. Fuller, J.F. Organ, J.E. McDonald, Jr., R.D. Otto, and S.P. Mahoney. 2014. Den abandonment and transitional day bed use by black bears Ursus americanus in Newfoundland. Wildlife Biology 20:222-228. Riley, S.J., W.F. Siemer, D.J. Decker, L.H. Carpenter, J.F. Organ, and L. Berchielli. 2003. Adaptive impact management: An integrative approach to wildlife management. Human Dimensions of Wildl. 8:81-95. Siemer, W.F., S.A. Jonker, D.J. Decker, and J.F. Organ. 2013. Toward and understanding of beaver management as human and beaver densities increase. Human-Wildlife Interactions. 7(1): 114-131. Stevens, S.S., B. Amulike, S. Ndaga, J.F. Organ, and T.L. Serfass. 2014. The confusion of common names: a wildlife specific methodological challenge in cross-cultural research. Human Dimensions of Wildlife 19(2): 191-199. Stevens, S.S., T.L. Serfass, and J.F. Organ. 2007. Otters and wildlife tourism: A recipe for conservation success? Proceedings of the Sixth TAWIRI Scientific Conference, 3rd – 6th December 2007, Tanzania Wildlife Research Institute, Arusha, Tanzania. 6:489-505. Vashon, J.H., A.L. Meehan, W.J. Jakubas, , A.D. Vashon, C.R. McLaughlin, G.J. Matula, and S.M. Crowley. 2008. Spatial ecology of a Canada lynx population in northern Maine. Journal of Wildlife Management. 72(7):1479-1487. Vashon, J.H., A.M. Meehan, , W.J. Jakubas, C.R. McLaughlin, A.D. Vashon, and S.M. Crowley. 2008. Diurnal habitat relationships of Canada lynx in an intensively managed private forest landscape in northern Maine. Journal of Wildlife Management. 72(7):1488-1496. Decker, D.J., C.A. Jacobson, and J.F. Organ. 2011. Transformation of State Fish & Wildlife Agencies: Ensuring the Future of Conservation in a Rapidly Changing World. Leaders’ Guide. Cornell University, Ithaca, NY. 52pp. Geist, V., and J.F. Organ . 2004 . The public trust foundation of the North American model of wildlife conservation. Northeast Wildlife. 58:49-56. Krall, L., J.F. Organ, and F. Shepard. 2003. The value of wilderness revisited. In A. Watson and J. Sprout, eds. Seventh World Wilderness Congress Symposium: Science and Stewardship to Protect and Sustain Wilderness Values; Proc. RMRS-P-27. U.S. Dept. Agr. Forest Service, Rocky Mountain Research Station, Ogden , UT , USA . McMullin, S.L., D. Svedarsky, S.J. Riley, J. Organ, D. Schad. 2009. The coursework of conservation: Are university curricula on target? A synthesis. Trans. No. Am. Wildl. and Natur. Resour. Conf. 74: 75-79.